Thank you for this little tutorial. 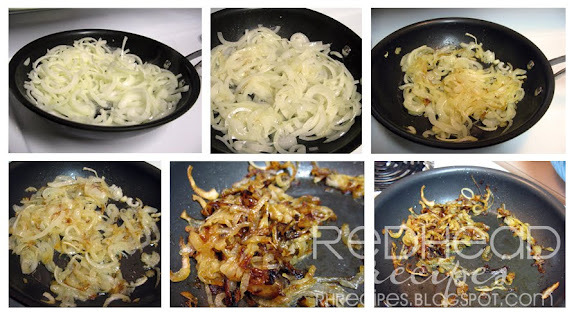 I've always wanted to know the best way to caramelize onions and you seem to have it down. Can't wait to try it! These onions are great! I always burn mine. They are going to be a hit around here. By the way we are still eating that grape jelly mixed with chili sauce. Thanks! I love carmelized onions, but I've never put sugar or salt on mine. Great idea, I'm going to try these tonight!